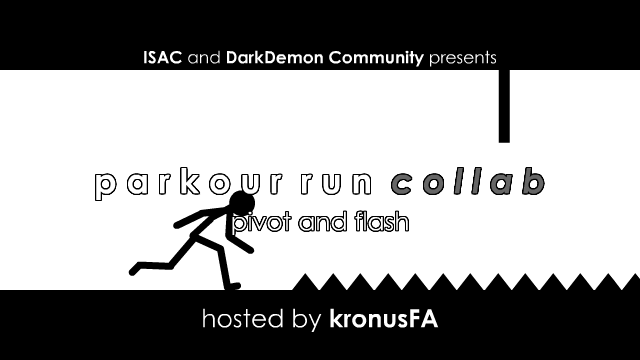 welcome to Parkour Run Collab! please read rules and everything before ASK. if you're flash animator, Private Massege me. start the stickfigure from the middle running and make them through random objects or platforms. make sure to put him back to the middle of template like the start when youre done. how much platform/objects should i pass? how many entry(s) i can make? that's all i guess, if you have any question just tell me. I'll answer every of your question, and put it here if it was important. Q: can i change the background color with somewhat dark effects or something like that? A: i can approve that but as long you start and end it with white colored background. 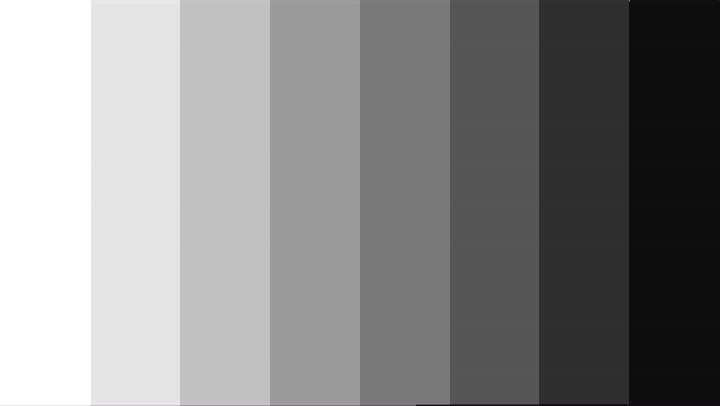 Also the fx stuffs must be grayscale colors, no rainbow colors and please, focus on the parkour thing. however i suggest you guys just use the white background. Q: do i need to put my signature/logo in the animation? A: no, cuz i will add it for you when im compile the collab. Hey I've seen your community collabs before. The ISAC community makes some great animations! I'm all for it, but I'm just kinda curious, what made you want to do a cross-community collab with us? Anyways this looks interesting, you guys seem reliable. I might make a part for this. Also welcome to the thedarkdemon.com! Are those in the participants list only to do this or anyone can join ? Raymond wrote: Hey I've seen your community collabs before. The ISAC community makes some great animations! I'm all for it, but I'm just kinda curious, what made you want to do a cross-community collab with us? Anyways this looks interesting, you guys seem reliable. I might make a part for this. Also welcome to the thedarkdemon.com! thank you Raymond, we are very pleased to collaborate with other communities, we've done it with Hyun's Dojo community before and it was very fun. and now perhaps with a theme that is very simple, I would like to see some Pivot animators in the Darkdemon community to join this one and I am sure this will become huge! can't wait for your part. iamaufiey wrote: Are those in the participants list only to do this or anyone can join ? everyone can join, the participant list is only showing people that will join the collab. your idea seems very interesting, as long it shows the stickfigure doing parkour and running, go ahead. sure, but still, i'll consider all the entries that its worth or no before start compiling. im in, but i want to use flash. messaged you about it. Gary wrote: im in, but i want to use flash. messaged you about it. I can't reply your message due to my post count. I'll reply to you ASAP, but all i can tell for now is we do it with "joint" way for flash user. I just removed you from the newly registered user group so you should be able to message people now. Quick question here, do i need to put my signature on the animation ? iamaufiey wrote: Quick question here, do i need to put my signature on the animation ? no, I will add it for you when i'm compile the collab.